A blog about UK Politics by a political maniac. Oh, and there may also occasionally be a dash of American politics, too. All views are my own: Not necessarily those of any organisation I may or may not represent. By this time tomorrow, Donald J.Trump will be the 45th President of the United States. I'm going to miss Obama. He did some fantastic things. 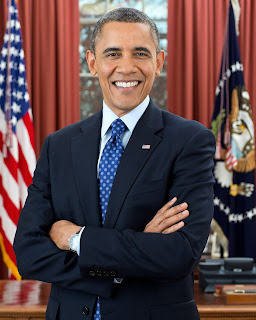 His response to the financial crisis saved the United States from the same kind of austerity agenda we saw in Europe. Under his presidency, the war on drugs eased off, equal marriage was initiated and abortion access was defended and improved. The US response to the financial crisis involved fiscal stimulus, rather than the relentless austerity seen in Europe. New bank regulation (Dodd-Frank) was introduced to prevent a recurrence of the economic crisis. While it did not nearly go as tough as it should be, the fact that the Republican Party is foaming at the mouth to repeal it tells you all you need to go. Taxes on the top 1% are back to pre Ronald Reagan levels, something no one seems to know about. The economy grew, albeit slowly, and jobs were created, albeit disproportionately in the big cities. The Obama regime may not have put a serious dent in income inequality, which the President himself has described as America's greatest challenge, but he certainly tried. But while I mention Obama's successes, I must also mention his failures. A decisive failure is Obamacare. Ok, it has improved healthcare coverage for some people, but it has increased premiums for others. It has increased the anger toward the government and the system in general. Now even its own insurance premiums are set to hike. Obama's originally stated aim of universal healthcare looks set to be unfulfilled. Rights and conditions for African Americans have largely remained the same. He has failed to introduce comprehensive gun control or prison reform-both things which would help African-Americans who are disproportionately affected by them. His failure to successfully mitigate the effects of globalisation on working class communities, and to halt the destruction of manufacturing jobs, or put into place a long term replacement for those jobs, sowed the seeds for Donald Trump's victory. That was pretty striking. Millions who voted for Barack Obama in 2012 turned away to vote for Donald Trump this time. Trump put on 3 million more votes than Romney, and more votes than any GOP candidate ever, despite being swamped in the popular vote due to safe Democratic states such as California and New York. He flipped hundreds of Obama counties, and managed to achieve a 16 point swing toward him with the low paid. He did something which no other Republican since Reagan has managed to do: Revive the "Reagan Democrats" (Now Trump Democrats) and win by sweeping the Rust Belt. The President was popular personally, but that's like saying the Remain campaign was ahead on the economy. People made a distinction between the POTUS and his policies. He was definitely a liability despite his huge personal popularity: Clinton would have been better off distancing herself from him. The "Obama 3rd term" campaign ultimately cost her as she was tainted with some of his failures and became a victim of the anti establishment mood. In Wisconsin, Pennsylvania and Michigan, more than 65% of those who voted in the election had an unfavourable view of Donald Trump, including half of Trump supporters-but they still voted for him because he represented change, and said he would bring the jobs back that had been destroyed over the course of the last decade. Perhaps his biggest failure is on foreign policy, especially Syria. Assad is going to remain in power, with all of his opponents apart from the terrorist ISIS group crushed: that in itself is a failure of American leadership. The United States has fallen in the last decade from being the sole dominant superpower to one of a few superpowers. Russia is back. China is flexing its muscles. Again, not entirely his fault but he was partially responsible. Under Trump, the US is set to see its influence shrink further. Of course, not all of this is Obama's fault, after 2010 he had to deal with a hostile Congress and found it difficult to introduce legislation, but he is at least partially responsible. Donald Trump is a decisive repudiation of everything Barack Obama stood for. Obama won't have a legacy. It's sad, but there you go. "Global Britain", what does it actually mean?